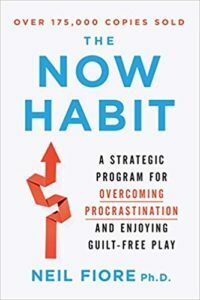 THE NOW HABIT offers a comprehensive plan to help readers lower their stress and increase their time to enjoy guilt-free play. Dr. Fiore’s techniques will help any busy person start tasks sooner and accomplish them more quickly, without the anxiety brought on by the negative habits of procrastination and perfectionism. Procrastination is a habit you develop to cope with anxiety about starting or completing a task. It is your attempted solution to cope with tasks that are boring or overwhelming. When you use the Now Habit strategies to lower your anxiety, fears, and self-doubts, you can stop using procrastination as an escape and can double your productivity and, often, double your income. When you learn to work efficiently—in the Flow State or Zone, using more of your brain-cell power—you have less reason to avoid important, top-priority tasks. 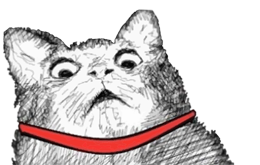 Procrastination is a mechanism for coping with the anxiety associated with starting or completing any task or decision. WARNING SIGNS OF PROCRASTINATION These six warning signs will help you quickly determine if you have significant difficulties with procrastination, goal achievement, or inefficient work habits. 1. Does life feel like a long series of obligations that cannot be met? Do you • keep an impossibly long “to do” list? • talk to yourself in “have to’s” and “should’s”? • feel powerless, with no sense of choice? • feel agitated, pressured, continually fearful of being caught procrastinating? • suffer from insomnia and have difficulty unwinding at night, on weekends, and on vacations (if in fact you take vacations)? 2. Are you unrealistic about time? Do you • talk about starting on projects in vague terms such as “sometime next week” or “in the fall”? • lose track of how you spend your time? • have an empty schedule without a clear sense of commitments, plans, subgoals, and deadlines? • chronically arrive late at meetings and dinners? • fail to take into account the actual time it takes to drive across town during rush hour? 3. Are you vague about your goals and values? Do you • find it difficult to stay committed to any one person or project? • have difficulty knowing what you really want for yourself, but are clear about what you should want? • get easily distracted from a goal by another plan that seems to be free of problems and obstacles? • lack the ability to distinguish between what’s the most important use of your time and what’s not? 4. Are you unfulfilled, frustrated, depressed? Do you • have life goals that you’ve never completed or even attempted? • fear always being a procrastinator? • find that you’re never satisfied with what you accomplish? • feel deprived—always working or feeling guilty about not working? • continually wonder “Why did I do that?” or “What’s wrong with me?” 5. Are you indecisive and afraid of being criticized for making a mistake? Do you • delay completing projects because you try to make them perfect? • fear taking responsibility for decisions because you’re afraid of being blamed if something goes wrong? • demand perfection even on low-priority work? • expect to be above mistakes and criticism? • worry endlessly about “what if something goes wrong”? 6. Are low self-esteem and lack of assertiveness holding you back from becoming productive? Do you • blame outside events for your failures because you’re afraid to admit to any deficiencies? • believe “I am what I do” or “I am my net worth”? • feel ineffective in controlling your life? • fear being judged and found wanting? The Now Habit is based on the Positive Psychology of Dr. Martin Seligman—on what Dr. Suzanne Kobasa of the University of Chicago calls “those psychological orientations that emphasize human initiative and resilience.” Her research on “The Hardy Personality” tells us that the more optimistic interpretations of human functioning are often left out of theories about how people cope. Likewise, in Anatomy of an Illness and The Healing Heart, the late Norman Cousins informs us that modern medicine has virtually ignored the positive aspects of the body’s resilient healing system, preferring to focus on disease. He says that humor and positive emotions and thoughts have healing potential. The Now Habit applies a similar positive attitude about the human spirit to the problem of procrastination. What are the deep inner fears that cause us to seek such unproductive forms of relief? Dr. Theodore Rubin in his book Compassion and Self-Hate suggests that it is the fear of failure, the fear of being imperfect (perfectionism), and the fear of impossible expectations (being overwhelmed) that prevent us from acting on and attaining humanly possible goals and relationships. Having a fear of failure means you believe that even the smallest error could be evidence that you are a worthless and awful person. Having a fear of being imperfect means that it is difficult for you to accept yourself as you are—imperfect and, therefore, perfectly human—and so you interpret any criticism, rejection, or judgment by others as a threat to your very tenuous grasp on perfection. Having a fear of impossible expectations means fearing that even after you’ve worked hard and achieved the goals set for you, your only reward will be continually higher and more difficult goals to achieve, with no rest and no time to savor your achievements. Perfectionistic demands lead to → fear of failure → PROCRASTINATION → self-criticism → anxiety and depression → loss of confidence → greater fear of failure which leads to → stronger need to use PROCRASTINATION as a temporary escape. We can become addicted to the rewards of procrastination, learning to use it in three main ways: 1. as an indirect way of resisting pressure from authorities; 2. as a way of lessening fear of failure by providing an excuse for a disappointing, less-than-perfect performance; 3. and as a defense against fear of success by keeping us from doing our best. If you maintain extremely high standards for your performance and are critical of your mistakes, you will need to defend yourself from risky projects where the chances of failure are high. Perfectionism and self-criticism are, in fact, the chief causes of fear of failure. All of us at some time in our lives fail to achieve some of our goals, and that can be very disappointing and quite painful. Those who gain their sense of identity from many areas are more resilient when failing in any one area.